This year, we celebrate 25 years of EDI! Mark your calendars now for our 25th Anniversary Celebration on Saturday, October 6, 2018. It will be an event you won’t want to miss. You’ll see in this newsletter that 2018 is starting off with lots of changes for EDI. Our first major announcement is that we are moving our office from Bellevue into Seattle. Our lease ends this month and we spent the last year, exploring spaces and evaluating what options would be best for taking EDI in the direction we want. We decided on WeWork in South Lake Union. WeWork is a co-sharing space, located all around the world, and as a member, we become part of a broader network. A focus of ours has always been to build brand awareness and expand our reach of individuals and companies that know about EDI’s programs. Being in an environment that fosters creativity and networking, is something that we are looking forward to. We’d love the chance to show you the new space. Stop by and say hello, especially all of our South Lake Union alums!!! Our next announcement is Vivian Huang, our Marketing & Communications Coordinator, is leaving. Vivian was hired in October 2014 when she was a junior at the University of Washington. EDI has grown in so many ways because of her commitment, dedication and task-oriented mindset! Much of the social media posts, newsletter and website have been managed by Vivian and our online presence is stronger because of all that she has contributed. I want to keep her forever, but she is ready to take on a full-time position and share her talents with the rest of the world. Thank you, Vivian! We wish you the best of luck and we maybe we’ll see you as a Leadership Discovery participant in the near future. With that being said, we are currently looking to fill a part-time Office Coordinator position. We ask for your help in referring candidates to us. And finally, thank you to everyone who has helped in our recruitment efforts. All of our programs will run this year. We are 11 participants away from reaching our goal, so keep the applications coming, we’re so close!! We have more announcements to come in the next few months, stay tuned. This year started off with unfortunate events and many challenges. In January, we lost community activist and former EDI Executive Director, Alan Sugiyama. In February, when we closed our applications for 2017, we found ourselves with our lowest enrollment since the recession, having to put our Leadership Navigation program on hold. The strength of our EDI community helped us turn our challenges into opportunities. We know that in order to ensure EDI’s growth, we can no longer continue doing what we’ve always done. 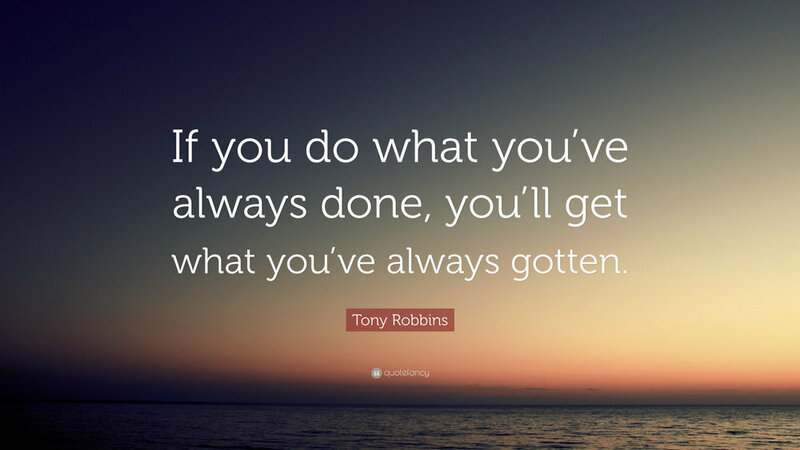 We must think outside the box, get creative, embrace change, and step out of what’s comfortable for us. These are all the elements of leadership that we emphasize to our participants in our programs and this is what we embraced and implemented at an organizational level this year. After all, we must practice what we preach! Creating our Alumni Ambassador Board in Puget Sound & Portland and launching our Network @ Nite events. Elevating our fundraising efforts through GiveBig & Inclusion Fusion: With the help of the EDI Board and the Dennis & Phyllis Washington Foundation we were able to get donations matched and raised more money than we ever have. Getting more savvy on social media: more videos, more content and going live on Facebook! If you haven’t tuned into Mind Hack Live, check it out here. You’ll find amazing live interviews from leaders around the Pacific Northwest. New sponsors & partnerships: Delta Air Lines, Coca-Cola, Thrivent Financial, Zillow, Business & Professional Women (BPW) network and much more! These are just a few highlights and we have exciting things on the horizon for 2018 that we can’t wait to share with you. This includes new offices, new program offerings, and new partnerships. We will unveil these in January/February next year, so keep an eye out for that. Of course, the sustainability of EDI is centered on our core leadership programs. As of today we are 65% to our enrollment goal for 2018. We ask for your help in getting in applications by December 31st. We are confident that all of our programs will be up & running again next year. Thank you to everyone who has referred candidates. Keep them coming! We are so grateful to all of YOU for your support. You stepped up in ways that we couldn’t even imagine and helped make this year a truly successful one. THANK YOU! We look forward to celebrating 25 years of EDI with you in 2018. Here’s to building a community of #DiverseGlobalLeaders. Last chance! This is our last call for applications to enroll in our 2017 Leadership Discovery Programs. If you thought it was too late, it’s not! We will take applications until February 28th. Thank you to our entire EDI network for your referrals and for spreading the word about our programs. We are looking forward to meeting the Class of 2017 at our upcoming Jumpstart events. Aside from our programs launching in March, there are many other events and initiatives that we are excited about and will be sharing with you throughout the year. Mark your calendars for Wednesday, May 10th. This is Seattle Foundation’s GiveBIG day. This will be our 4th year participating and once again we are doubling our goal to $20,000. It’s one of the only times you can “stretch” your dollars. The more money EDI raises the higher percentage of matching funds we receive from the Seattle Foundation. We encourage everyone to donate on May 10th and help us raise more money in one day than ever before! I know that you are all up for this challenge. We are also in the process of launching our Ambassador Boards (A-Board) in both Puget Sound and Portland. These are alumni boards that will help EDI with alumni engagement, recruitment and hosting events. We look forward to introducing our A-Board members soon! Claire Mak was recently promoted to Manager of Prototype Development, Product Validation Engineering at Daimler Trucks North America (DTNA). She is currently the Vice-Chair of the Asian Resource Network, one of the many Employee Resource Groups at DTNA. She also hosts the monthly PMI Roundtable discussion at DTNA. I am attributing my success to the “can-do” attitude my parents instilled in me. It wasn't until EDI that I discovered that my “ability to speak up in meetings”, “questioning status quo” and “don’t take no for an answer” attitude wasn't normal for Asians. My biggest A-HA moments from EDI are self-awareness and personal branding. I have been working on improving “my brand” since April 2013. The fact that I am aware of my strengths and weaknesses and able to articulate to the interview panels what I have done to improve myself has definitely set me apart from my competitors. I have always known that I want to move into management. EDI has given me the tools, tips and tricks, and showed me the path to get there. Last year, when I was given a troubled project, I was able to use all the skills that EDI has taught me. I had to perform under intense pressure, effectively communicate to all levels of management, resolve conflicts , leverage my network, and frequently present to CEO levels. I am happy to say because of my EDI training, I came away with flying colors. Upper Management took notice of my abilities, and then it was a matter of time for the right job to become available for me to move into management. I want to take this opportunity to thank the mentors that I have met through EDI, and to Marci for giving me the opportunity to be the Program Chair for the 2015 and 2016 Portland Asian Leadership Discovery Program. I am now a better leader, manager, mentor, mother, and friend because of EDI. 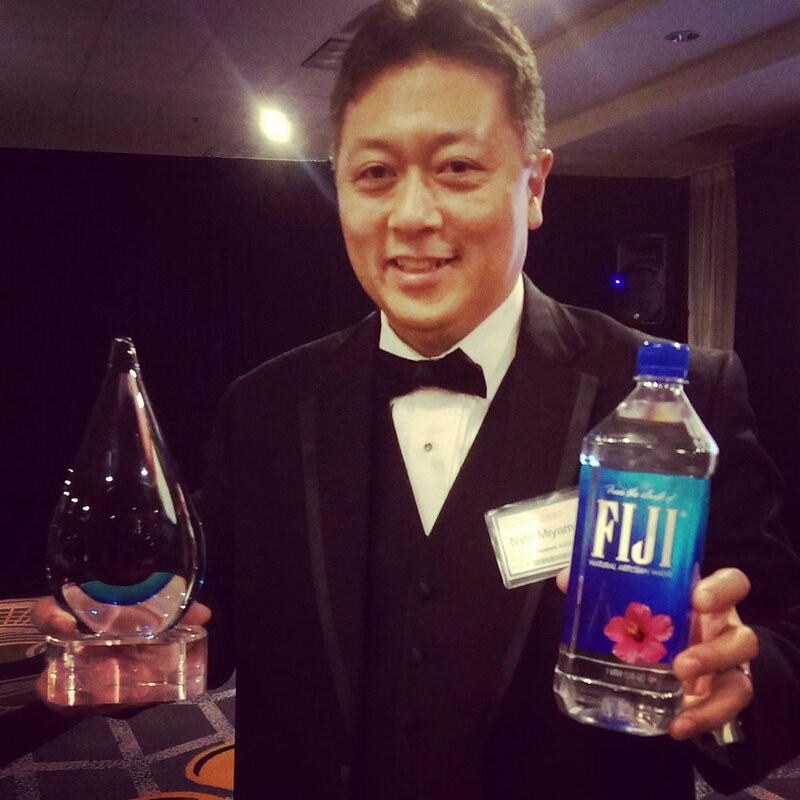 Congratulations to Nyle Miyamoto for receiving the 2016 Achievement in Leadership Excellence and Nobel Impact (ALENI) Award from NAAAP-Seattle! In his acceptance speech, he shared his formula for developing one's leadership potential where,'LP = ExRxR', where one's Leadership Potential is determined by one's Experience, Relationship Experience, and Reptuation. At the end of his speech, he asks the audience, "Are you pudwater or Fiji water?" What are you? Congratulations to the EDI Class of 2016! Thank you for taking us on this incredible eight month leadership journey with you and we can’t wait to celebrate your accomplishments on November 10th & November 17th. We invite everyone to join us at graduation to cheer on the graduates. We have some exciting things planned that you won’t want to miss!!! We are now in the midst of filling our classes for 2017. This is going to be a milestone year as we will surpass the 1000 mark of participants that have been through the EDI program. What started as a class of 11 people in 1994, will now be over 1000 alums strong. That is truly amazing. Help us keep this momentum going by enrolling individuals into our 2017 program. Application deadline is November 30th. The last few months have been event season here in the Puget Sound area. In September we held our annual Inclusion Fusion fundraiser in which we surpassed our goals and raised over $110,000. We were overwhelmed by all the support and are already looking forward to planning 2017. We had the opportunity to attend many other galas including, Densho, ACRS, El Centro de la Raza, NW Asian Weekly and many more. We are extremely grateful to be part of this larger community and we love running into so many EDI alumni wherever we go! In Portland, our Executive Director Emeritus, Alan Sugiyama, put together a happy hour event and it’s great to see our Portland EDI community growing. We had over 25 in attendance including Board members, community and corporate leaders and Portland alums from the 2011, 2013, 2014, 2015 and 2016 classes. You can read more about this event and how Al has been doing in this newsletter. We hope to do more events like this in both Puget Sound and Portland. Last month, Al hosted a happy hour in Portland, inviting the current 2016 Portland Class and EDI Portland alums! Hey, what's up my EDI family and friends? Many of you have asked for an update on my health. Thank you for your concern and ongoing support. It's hard to believe it's been two years since I was diagnosed with cancer and 1.5 years since I retired from EDI. Needless to say, I miss all of you. I'm extremely disappointed I wasn't able to know the last two or three classes very well 😩. The good news is the chemotherapy is working and the cancer continues to shrink 😀. Since I'm in treatment every other week, I have not been able to attend very many classes or graduation, but believe me, I sure miss it. Marci and the staff always tell me how special and talented all of you are. For those who I've had the opportunity to know over the past few years, feel free to contact me so we can have coffee or just chat about your career. For those who I didn't meet, I also want you to feel free to contact me at asugiyama@comcast.net, so I can offer any help as you navigate your career. Once again, thank you for all your love and concern. I appreciate it very much. Good luck on your career and I expect greatness from each of you. Left to Right: Marci Nakano, Brittany Ryerson, Poe Wongpa (Class of 2015), Tomo Nakano, Vivian Huang, & Kelly Verbicky (Class of 2016) enjoy tasty Thai food at Poe's restaurant in Auburn, Gor Gai Thai. July is the time of year for EDI where everything intersects. We have our current programs starting to wind down; we are actively recruiting for our 2017 programs; we are in the midst of preparing for Inclusion Fusion; and starting to plan for graduation. Although it’s the busiest time of year for us, it’s also the most exciting. So much has happened since I last wrote in April, I wanted to highlight some of the significant things we have going on right now at EDI. INCLUSION FUSION – It’s just around the corner. This year’s event will be like no other as the alumni will be the focus throughout the evening. We’ll have alumni stations where alums will be sampling some of their own products and sharing with you their leadership stories. There are several new twists that we will have that will incorporate our theme, “Let Your Leadership Fly” so you’ll have to attend to find out what they are! You don’t want to miss this. In last month’s newsletter, we introduced you to Tomo, our new intern from Bellevue College. He’s on a one year exchange program from Japan and is spending 10 weeks with us. Thank you to EDI Alum, Mark Watanabe, for referring Tomo to us. He’s eager to build his leadership skills and has been attending our program sessions. As someone new to EDI, he’s been providing us valuable feedback that we will use to improve the quality of our programs and the participant experience. I’d also like to congratulate our Marketing & Communications Coordinator, Vivian Huang, on her graduation from UW in June. Vivian has been with EDI since October 2014 working part-time. After a month long vacation to Europe, Vivian is now back and transitioning into a more full-time role. We’re grateful she decided to stay on at EDI as she’s the hub of all the communication points for us. Be sure to watch this month’s Alumni on the Move video with Poe Wongpa. Our alums are constantly inspiring and amazing us with all they do in their careers and in the community. Poe just opened his very own Thai restaurant, Gor Gai Thai, in Auburn. He made his dream a reality and we are so proud and excited for him. I admire his courage, ambition and energy. I’ve already been to his restaurant three times, plus he’s catered lunch for all our program sessions in the last month. It’s the best Thai food you’ll find in the area (and I’m not just saying that because he’s an alum). We are recruiting for our 2017 programs and our goal is to have 90 participants enrolled before the end of the year. If you know of anyone that has interest in the program, please send them our way. If you want us to come to your company to do an information session or need us to meet with someone one on one, let us know. Hello, my name is Gar Au, and I graduated from an amazing EDI class in 2014. I currently work at Boeing as one of the lead design engineers for the 787-10 Flight Test 1 and 2 Linings Commodity. My friends and I have worked on developing a board game titled Betabotz for the better part of the past two years. We are finally ready to launch our Kickstarter campaign on May 10th, 2016. My current entrepreneurial interest and ambition largely stemmed from a very special panel during one of my EDI classes. I was highly inspired and motivated by many of the speakers, including Chee Chew, who at the time held the position of Vice President of Engineering for Google. I stayed in contact and sought career advice from Mr. Chew subsequent to the panels, and one quote in particular deeply impacted and stuck with me: “follow the intersection of what you are great at and what you love”. Following Mr. Chew’s advice, after some self-reflection and long discussions with those who know me best, I decided to pursue tabletop game development. We started the game development process by interviewing the gaming community and identifying what others look for in a tabletop game. We anchored the gameplay to the most consistent answer we received: easy to learn, hard to master. Through countless play testing, social events, and development sessions, I led a team of nine friends through the entirety of the gameplay development phase. In addition to the mechanical gameplay aspect, we found an amazing artist at a gaming convention in Columbus last June, and have collaborated with her on the card illustrations since. Developing a game and owning my first company (Zagar Games LLC) certainly presents many challenges and bumps in the road. Capital constraint is one of the toughest hurdles to overcome, as we have no prior published games to support our current development. We chose crowdfunding, specifically Kickstarter, both as an avenue to raise the capital and as a way to showcase our game to the public. Similar to capital constraints, as first time developers, product marketing also presented inherent difficulties. From our research within the gaming community, we realized that word of mouth is often the most time consuming, but most effective way to market new products. As such, in collaboration with our friends in different geographic regions, we hosted numerous Betabotz events in gaming stores and conventions across the country to put our product on the map. Though we have received amazing feedback from nearly everyone who played our game, we still need to reach additional potential backers and supporters to ensure that we reach our Kickstarter goal and ultimately use the funds to complete gaming production. If you could, it would be of great help to spread the word about the game on Facebook, Twitter, and Instagram. Our Kickstarter will launch on May 10th and run through June 22nd. Please help introduce our game to your friends and family who love board games, or just want to try something new and interactive. Crowd funding is still a bit unfamiliar and even a bit uncomfortable to me, but every backer is valued and needed to help us achieve our dream of owning and developing our own game. If you would like and are interested to learn more, I would gladly come and demonstrate the game for you as well. The following link directs to a preview of our current Kickstarter page! Finally, I would like to thank EDI for such an amazing experience and for helping me find my passion. Regardless of whether our venture succeeds, I am very grateful for the opportunities I have had and appreciate all the support I’ve received from EDI. I was fortunate to select positions throughout my career that highlighted my communications degree from the University of Washington. I started working at KOMO TV/Radio immediately after college. Then I continued my media career at KJR Radio and lastly, I worked at Clear Channel Outdoor. In each role, I gained strength in techniques and developed my self-esteem every level. I was extremely shy so I had to find ways where I could comfortably find myself breaking down this negative barrier. I knew that this was not a great leadership skill. So, I decided to work on networking. I loved being with people and found strength in networking where I was confident in interacting with others. After my extensive years in the media/communications field, I have decided to move into the healthcare field. I am currently the Regional Director for Multicultural Initiatives at the American Heart Association. I work with organizations with a goal to improve cardiovascular health of all Americans and decrease deaths from cardiovascular diseases and stroke by 20% by 2020. My duties will include working with high risk communities by focusing in the areas of hypertension, nutrition, obesity and physical activity. In addition, I will work on health equity strategies that focus on development, advocacy and marketing/communications opportunities. My role will include serving as internal consultant to the region/territory on all diversity-related initiatives. The emphasis will be on diverse communities. Throughout my career, I had high expectations in my performance, which led to the development of strong ethics and leadership skills that came along the way. However, I had failures along the way and they helped me realize how I can make or do things better. In my earlier years, I was fortunate to meet a wonderful mentor that portrayed the charisma in great leadership. He knew how to communicate and network with people. I would watch him meet people in a room, and he was great in displaying leadership skills that I wanted to adapt to my personality. He allowed people to show or work on their leadership skills. That person was EDI’s founder – Ted Yamamura. I joined the former NAAAP (previously known as Asian Management Business Association). Ted helped me to grow and develop my leadership skills, and always made me feel like I could be a leader in anything I did. When he started the EDI program in 1994, I volunteered my time with him in developing the program that has cultivated so many emerging diverse leaders since then. Ted always surrounded himself with wonderful leaders on his team. In this respect, I also made sure that I surrounded myself with people who I appreciated and admired. Ted taught me to not hesitate to ask for help or ask for referral. When I went through the EDI program in 1996, I was very fortunate to have many people who helped/mentored/inspired me along the way. Even now, I am always inspired by my alum family. I looked up to my EDI alums that includes many friends: Char Grinolds, Vanna Novak, Mae Numata, Marci Nakano, Tommy Leong, Marie Chow, Darryl Hue, Dom Amor and Ador Yano. In addition, I had my wonderful family and boyfriend who always supported me in both my professional and personal life. The most inspiring person to me is my young mentee, Julie Pham, who I decided to mentor many years ago. She has since become a graduate of EDI in 2010. Julie wanted advice on how to succeed and network with community leaders. I helped, guided, and inspired her along the way, but I think I was inspired by her. I watched as she worked hard on whatever she wanted to accomplish. However, I was the lucky one since as the mentee, she really helped her mentor. When I needed help to start a LinkedIn profile, she did not hesitate to help me. When I sought assistance on finding my next career path, she was sending me referrals and providing inspiration to me. As a mentor, this is the proudest moment because I am thankful that I was able to inspire and help her to succeed in whatever ways I could. Julie was there when I needed guidance and social media assistance. To this date, we are still both helping each other professionally and personally. My advice for others is to ALWAYS think positive and surround yourself with good friends who can help inspire, mentor or help you when times are difficult. Remember that it is a two way street – you need to return the favor. Also, network, network… and work on networking early than later. When I made my career switch to the non-profit sector, my networking techniques really helped me to find my position. I asked for help among my colleges so I could discover my next passion, which is now at the American Heart Association. It's also important to find or discover a non-profit organization where you can be passionate about. The EDI program gives you an opportunity to work with a non-profit organization for your team project. I find that volunteering at non-profits will often strengthen your potential leadership skills. I am always motivated when I can mentor inspiring fellow Asian Pacific Islanders. I want to share what I've learned with people who need help developing their leadership skills! It’s a team effort to launch the programs each year from recruitment to kick-off so we thank ALL of you for your support. A special shout out to our facilitators, Marisa Rivera, JD Hokoyama and John Chen, who build the foundation for the participants each year and also to our volunteer program chairs for their dedication, time and commitment. Next month, we’ll be opening up the application process for our 2017 programs, so start thinking about candidates to enroll for next year’s class. GiveBIG to EDI on May 3rd! I wanted to do a special call out for this since this is an important day for EDI’s contributors. This will be our 3rd year participating and we are doubling our goal to $10,000! It’s one of the only times you can “stretch” your dollars. The more money EDI raises the higher percentage of matching funds we receive from the Seattle Foundation. Why donate to EDI? Our programs are tuition based and currently tuition only covers 60% of the total operating cost for the programs. We rely on contributions for the remaining 40%. We do our best to keep our tuition rates competitive to ensure that we can accommodate as many people as possible in our programs. YOU keep our programs going. We ask for your support on this important day of giving and help us reach our $10,000 goal. Every dollar counts and together we can make an impact. May is Asian Pacific Islander Month and the first celebration will take place on Sunday, May 1st at the Seattle Center. The event is led by the Asian Pacific Director’s Coalition (APDC). It’s a free, family event with entertainment, community booths and the celebrity Hum Bow contest. That’s what I’m looking forward to the most! Plus, it will be an EDI reunion as we have a lot of alumni that will be volunteering. You can also visit the EDI booth. We’d love to see you. In my last column I mentioned that this year would be all about leadership stories to showcase the power and inspiration of our EDI community. We hope you’ve been reading the “Alumni on the Move” section of our newsletters. We have more stories to unveil over the next few months so keep them coming!! There’s so much more on the horizon for EDI so keep an eye out for more announcements. Above: EDI's Portland Alumni Reunion. "I started my own company. "I joined a non-profit board." These are all accomplishments of EDI alumni that we’ve learned about over the past few months. Behind these statements are personal leadership stories that compel, inspire and motivate. In 2016, we’re taking our “Alumni on the Move” section of our newsletter to the next level. We are bringing to life these important stories and will showcase them in different ways. It won’t stop at alumni, we will involve everyone from board members to managers to sponsors and coaches. We want you to feel the power and support of the EDI community. This month, we start with Cesar’s story. If you haven’t already done so, take a look at his video interview. Cesar has been an integral part of the EDI family since he participated in the program in 2012. We’re so proud, intrigued and inspired by what he’s built with his new company, MX180, and can’t wait to see it all unfold. I’ve had the opportunity to get an inside glimpse of what he’s been doing including trying his MX180 meals. It’s all amazing stuff so check out his website when it launches today! The Class of 2016 is gearing up to start their EDI journeys and we look forward to meeting them. They will join over 900 alumni and we can’t wait to hear their stories, too! For those that thought it’s too late to enroll, you still have time. We will continue accepting applications through the end of February. We are committed to reaching our participant goal and currently sit at 75% to our goal. We need your help with one last push to the finish line! The great news is that we do have a few scholarships available so anyone out there that is interested, we encourage you to apply. Thank you to everyone that has assisted with our recruitment efforts.